The overall air quality index (AQI) in the national capital was recorded at 213, according to data provided by the Central Pollution Control Board. For the first time since Diwali, Delhi's air quality was registered in the "poor" category today, an improvement from "very poor" the day before, after rains lashed the city washing away pollutants. However, authorities warned that the condition might slip back to the "very poor" range from Saturday. The overall air quality index (AQI) in the national capital was recorded at 213, according to data provided by the Central Pollution Control Board (CPCB). The environment pollution control authorities (EPCA) has recommended curbs on non-CNG vehicles to tackle rising air pollution, but experts said banning all private vehicles without a proper strategy and alternatives "is bound to create issues". Delhi's air quality has been oscillating between "very poor" and "severe" since Diwali on November 7, due to bursting of firecrackers. According to pollution watchdog the CPCB, 25 areas in the national capital registered poor air quality and 11 registered moderate air quality today. The PM2.5 (particles in the air with a diameter of less than 2.5 micrometres) level was recorded at 95, while the PM10 (particles in the air with a diameter of less than 10 micrometres) was recorded at 177. 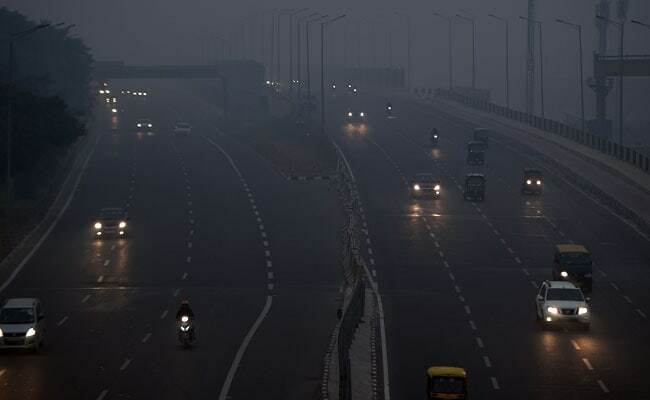 The Centre-run System of Air Quality and Weather Forecasting (SAFAR) said air quality improved significantly following sufficient rainfall on Wednesday night due to wash-away effect. "Surface wind speed moderately increased but pollution level declined faster than expected. Still weather conditions are not completely favourable except sporadic rain. This implies that the air is lighter and free path increased to allow faster dispersion," it said. "In addition to cleaning of air by rain, it also tend to suggest that accumulative emission loading is relatively less. Stubble fire is almost negligible. The AQI is likely to remain in the 'poor' range on Friday but slip back to the 'very poor' range thereafter," SAFAR said. According to the Indian Institute of Tropical Meteorology, PM2.5 concentration will improve in the next two days. "The air quality index is likely to improve in the next two days. But will still remain in the 'poor' and 'very poor' categories in Delhi-NCR. Also, the impact of biomass burning in northwest India is marginal over Delhi," it said.